There’s a common mantra in the world of software development: “A lot of times, people don't know what they want until you show it to them.” What companies often fail to remember is that when Steve Jobs came out with that famous quote, he was talking about creating new technology from the ground up, not making an app or debuting a new service. While those areas also require constant innovation, the playing field is incredibly different—and the customer is a much more integral part of the machine. Still, innovation is the keyword of the day, and every intelligent business strives to create in a fluid environment. 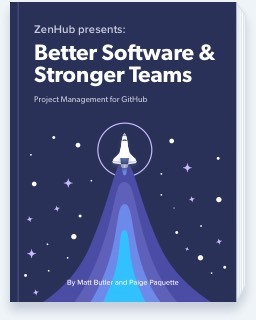 The best of them are adopting agile methodologies for every avenue of business, using sprints and milestones to align engineering, design, and sales departments. Getting those teams on the same page is an important first step, but for many teams, that’s where the journey ends. They forget that the customer is an important part of the circle. It’s self-evident that the sales team should have contact with customers, but researchers Rajesh Sethi and Carolyn Nicholson found that when development teams also engaged directly with end users, they were actually more likely to create successful products (and to be more motivated to work harder). They studied 114 teams, and found that teams that relied more on customers' input during new product development produced more innovative outcomes. The number one corollary for job satisfaction isn’t high paycheques, or team lunches, or foosball tables—it’s mattering. No one wants to work in a vacuum, writing lines of code for a product they never see, or shipping products that no one ever uses. In a 2010 study, scientists found that finding meaning in one's work increased motivation, engagement, and job satisfaction. But how do companies manufacture meaning? Not everyone will be employed doing positive works for the greater good, but meaning can also come from something simpler: a direct connection between employees (in this case, developers) and customers. The science backs it up. End users who benefit from a company’s products or services are surprisingly effective in motivating people to work harder, smarter, and more productively. Meeting face-to-face with users can also motivate developers to make changes that they might fight coming from “on high.” Organizational psychologist David Hofmann and journalist Adam Grant have found that employees tend to see end users as more credible than team leads. The user doesn’t have an agenda—they won’t just tell you what they think you want to hear—which can make their opinions feel more valuable, and more reliable. In the book “Microsoft Secrets,” a lab manager described how developers immediately empathized with users they met in person, even when before those concerns would have been brushed off. “The usual nonsense answer—‘Well, they can just look in the manual if they don’t know how to use it,’ or ‘My idea is brilliant; you just found ten stupid people’—that kind of stuff just goes out the door.” A face-to-face connection with end users causes a stronger emotional connection among the developers, motivating them to design software with users in mind. Of course, meeting with end-users has one final benefit: being able to truly understand them as human beings. It’s one thing to hand developers a deck describing “Christopher Condo Owner” and “Sally CEO,” but those are archetypes, not people. A truly human connection can only be created by listening to their stories, ideally by phone or in an electronic face-to-face. Put your developers on the line—metaphorically, of course—and you’ll be amazed by what they can achieve. Do you have questions about ZenHub? We'd be more than happy to help on Twitter @ZenHubHQ or email us directly.